This is the first stop on a new slate of reviews I'll be posting on Nikki-Michelle's Spot. Before I ever had dreams of becoming a writer, I was a reader. That hasn't changed. I love to read. A good book can always take me away like Calgon. Therefore, I put a post on my Facebook page that I was looking for authors to feature on my website. One of the authors who answered was Rose Jackson-Beavers. I asked her what book of hers should I read and she suggested her book, A Holiday Wish. I should note that this book is NOT on Kindle Unlimited. As you know, as a reader, I'm a fan of Kindle Unlimited. If you're a reader looking to test a new author, KU is a good investment, especially in this market of....eh, that's a story for a different day. Back to A Holiday Wish. 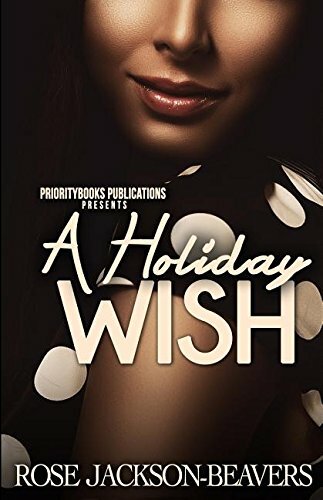 I had the pleasure of reading A Holiday Wish by Rose Jackson-Beavers. The story is for my readers across all genres but mainly traditional Christian fiction lovers. The book opens with high school senior, Darrius, waiting at the bus stop. All he can think about is hoping that his mama stayed in the rehabilitation center for her drug problem. For as long as he can remember, his mama has been going in and out of drug rehab programs. Much to his chagrin, this year would be no different. His mother, Adrienne, shows up at the bus stop throwing his world into a tailspin. I enjoyed the story because it had a feel good motivational and Christian message. The only issues I had with the story was for the first couple of chapters, it seemed repetitive. Everyone kept saying the same thing. Darrius kept harping on his issues with his mother and the fact she kept going in and out of rehab. People kept telling him to pray and focus on school. His grandmother told him and then his girlfriend told him. It seemed no one could tell Darrius anything other than to pray and stay focused on school. And while that is definitely a good message, I had to wonder if there could have been any other words of encouragement they could have given him. I was happy with the end of the book as we got our happily ever after. I give this book three pages pages (think three stars). If you're going through something and need a pick-me-up, this is the book for you. For all my Christian fiction lovers, this book is for you! Hi, Nikki. Thank you so much for taking the time to read my book, A Holiday Wish. I appreciate your review and for making me the first stop on your new format.